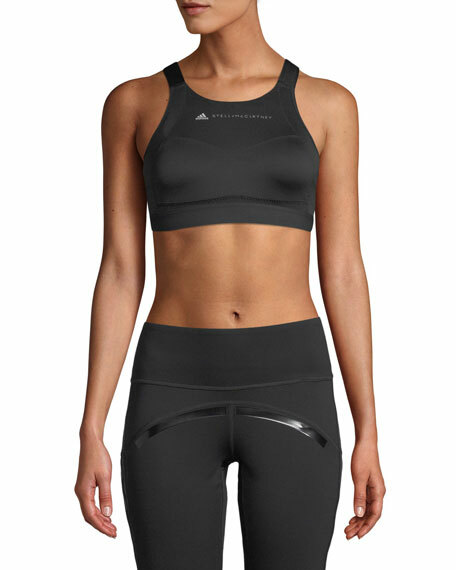 adidas by Stella McCartney "Performance Essentials" sports bra. Provides moderate support for medium-impact activities such as cycling, hiking, or dancing. Tight fit is snug and nonrestrictive.